Christmas always seems to come around so fast. It falls on the same date each year so there is no excuse for not being prepared. The earlier you start thinking about your Christmas marketing campaign the better. You will have more time to plan and prepare. This will help ensure that your Christmas marketing campaign is successful. Planning any marketing campaign early gives you the time to test your campaign. You can make any final tweaks before going live. Here are a few tips for your Christmas marketing campaign from Blackberry Design. First things first, here are a few dates in the retail calendar that you should be aware of. You could factor these into your Christmas marketing campaign. Black Friday: this is the fastest growing retail search day. It is often thought of as the beginning of the shopping season. Black Friday promotions can vary from one day events to week long events. Cyber Monday: the Monday after Black Friday is the busiest retail search day. Cyber Monday encourages people to shop online. Sales and conversion rates are high during this period. Green Monday: Similar to Cyber Monday. Green Monday was first used by eBay to describes its best sales day in December. Green Monday is usually the busiest online shopping day before Christmas. Remember your Christmas marketing campaign should continue to run over the Christmas period. Christmas Day is the biggest mobile search day. Boxing Day is the busiest shopping day online and offline. 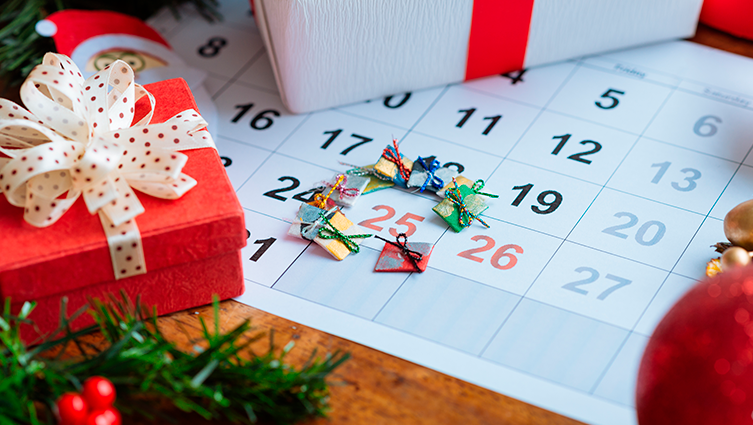 Ensure your campaign includes these important dates with enticing offers and promotions. Adding a Christmas logo to your website and branded literature. This is a fun way to build excitement in festivities. It gets customers thinking about Christmas. It shows that your website and collateral are up-to-date. Run tailored PPC campaigns and social media advertising campaigns to get the best results. Ensure your adverts are optimised for mobile. Make sure you include important information. Customers need to know sales, last delivery dates and opening times (if not only online). Be sure to include a call to action. Include seasonal meta descriptions. Ensure that you stand out and are relevant in the search engines. You can update your meta descriptions to include seasonal messages. Remember this can take time for Google to index so do it early. Make sure you don’t forget to change them back. Email past customers. Did you have a list of customers who made last minute Christmas purchases last year? The chances are they have left it to the last minute again this year. Be sure to send them a tailored email to help them with their shopping. Would you like to discuss your Christmas marketing campaign? Blackberry Design can help your business. Get in touch on 01527 517309 or fill in our contact form.